The lecture will take place in the South Room on the ground floor, an adjoining smaller room would be available for use to demonstrate diseased combs, etc. 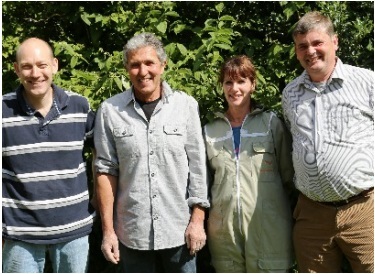 Hive inspections will take place in the Walled Kitchen Garden, which is a two-minute walk from the Hall through the grounds. Suitable for Beekeepers of all levels of experience. This relaxed & friendly day will include a mixture of presentations, & Useful Tips & Hints with Discussions. 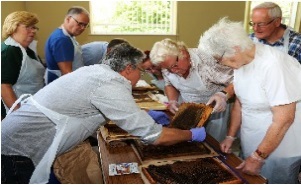 Apiary Hygiene – Varroa – Live Comb Recognition plus a practical Session in the apiary observing how inspectors manipulate & check for disease. Parking : plentiful and free. Maps and directions are on the Copped Hall website. The venue is within easy access of the M25 and North Circular. Refreshments: tea, coffee, juice etc. will be available during the day; cake will appear in the afternoon. 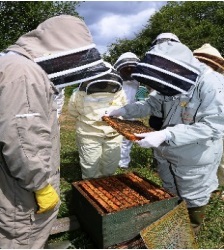 All beekeepers will bring a picnic lunch; the Hall and grounds are available for exploration.